Accused of a crime? Be sure you understand your rights, and be prepared. Call The Barrera Law Firm. Preparing to go to trail in Harlingen, McAllen, Brownsville, or anywhere for that matter, to defend yourself in a criminal defense case is nothing short of nerve racking. You will be fighting for your freedom, and this is a battle that no one wants to lose. Without a good criminal defense lawyer, you could end up getting the book thrown at you, getting slapped with high fines and jail time. Your first meeting with your criminal defense lawyer will set the stage for your defense strategy. Being prepared for that meeting will get your case off to a great start by giving your lawyer a better chance at building a good defense strategy. Be prepared to answer some questions. Your lawyer is going to need all of the details about what happened. You may want to sit down a few days before your meeting and write down all of the details you remember about what happened to you before, during, and after your arrest. Your lawyer is going to ask you to remember the names and details of all the people involved in your case, their role, what they know and what you think they might know. You will also want to recount all the details you can remember about your arrest. If the arresting officers made mistakes and you can remember them, it may be important to your case. Have your own questions to ask. You will also want to prepare some questions of your own for your criminal defense lawyer. Ask how long they have been working in criminal defense, if they have had cases similar to your own, and what the outcome was. Ask their opinion on the outcome of your own case, including the best and worse case scenarios. Find out how much their services are going to cost and how they accept payment. Knowing up front all of the details will ensure that there are no surprises later on down the road. Bring documents and evidence with you. Bring all of the documents associated with your case to the meeting with your criminal defense lawyer. This includes items you feel could be used as evidence, such as letters, photos, emails or other documents. Bring your arrest records, and any paperwork you were given by the police. Your lawyer will be better prepared to build a winning defense strategy for your case if they have all of the evidence needed to back it up. Listen to your lawyer’s advice. Your lawyer will have some advice for you at the end of the meeting. They may tell you where to go and where to avoid, who to speak with and who to not speak with. Pay attention to their advice and even write it down. Your criminal defense lawyer is familiar with the system and knows what it will take to win your case. Going against their advice could end up costing you in the end if it causes your case to end in a guilty verdict. Help justice fall in your favor. Call The Barrera Law Firm for a free consultation. Ending up on the wrong end of the law, whether you are guilty of an actual crime or not, is no laughing matter. It is a serious situation that deserves a your utmost attention. 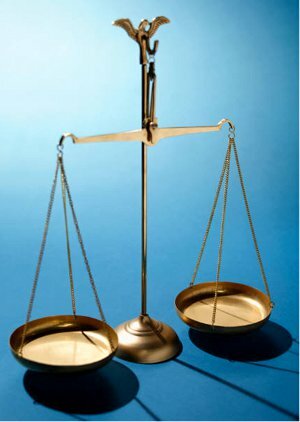 Building a strong criminal defense strategy is important as it is all that stands between you and your freedom and heavy fines. Don’t wait until the last minute to plan your defense strategy as you want to give yourself plenty of time to prepare so your defense will go smoothly when you finally have your day in court. Choose your criminal defense team wisely. Always research at least three criminal defense lawyers before you decide on one. Choose one that has had experience with your specific type of situation. You may want to ask friends and family if they have had any experience with criminal defense lawyers. If you know of anyone who has had a case like yours and won, make sure you give their lawyer a try. A criminal defense team that is familiar with your type of case will better your chances of getting a verdict that falls in your favor. Discuss your defense options. Talk to your lawyer about your defense options. 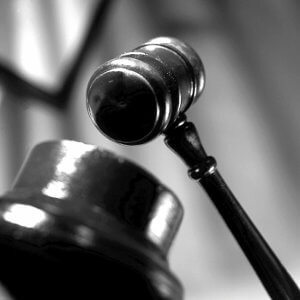 There are generally three versions of events that defendants of criminal defense cases have. The three options are a confession, in which you admit your guilt, a complete denial, in which you deny your part in the crime, and an admit and explain story, in which you admit to part of the story but not all of it. Disclose any and all details of your case to your criminal defense team. It is important to give your criminal defense team all of the details concerning your story. They need to know if there is any chance of surprise evidence or witnesses coming forward for the prosecutor. When your lawyer knows the whole story, they can prepare your defense around it. Decide on a strategy and then stick with your story. Once you and your criminal defense team have decided on a defense strategy, you will need to come up with a solid story. Practice your story day and night. Go over every detail until you know it by heart. Its easy to get scared and confused once you get up on the witness stand to be interrogated by the prosecutor. Having your side of the story completely planned and ready to go will help take the edge off so you wont’ appear so nervous to the jury when you are in the hot seat. Look professional when you show up in court. When you show up in court, make sure you look your best. For men, you should wear either a suit or at least a button down shirt and slacks. Try to cover, or minimize, tattoos and jewelry. Women should look professional as well, in either a pants suit or dress. Looking your best for court shows that you are serious. Since this will be the first impression the jury has of you, make sure it is a good one as they will be deciding your fate. Domestic violence is a serious matter. It is not forgivable. It is not something that gets better with time. It is something that must be addressed so the violent person can be handled or removed from the family unit. While Paul Simon’s song, 50 Ways to Leave Your Lover, may be about less serious matters, domestic violence is much more serious. 2) Whether Family Violence is likely to occur in the future. 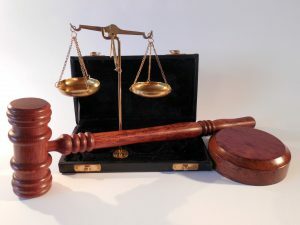 A private Texas attorney may draft the application, assist in the preparation of the evidence and affidavits, and the presentation of evidence to get a Protective Order from a judge. The reasons why Protective Orders are VERY IMPORTANT is that it restricts a person from coming within so many feet, coming to a residence, calling, texting or showing up to work places or schools. This is important because police often have to wait until a crime has been committed before arresting a person, but with a protective order, they may be arrested for simply violating the order itself, for example, driving past your house. There are 50 ways to leave your lover if they commit Domestic Violence and The Barrera Law Firm, PC can help you. But first and always, seek emergency police assistance in the event you are in danger and call the law firm after that. Determine who was at fault in the accident. Accidents can happen so fast, and in the confusion it can be difficult to determine who was at fault. When the officer shows up at the scene of the accident to make an official report, be sure you give them the full story, including all the details you can remember. If you know that the 18 wheeler caused the accident, provide a clear reason behind your logic and make sure it gets into the official accident report, as this will be used later to determine your insurance settlement. Get your injuries assessed by a medical professional. If you have been injured, go immediately to a hospital to have your injuries assessed by a professional. If you cannot drive yourself, go with an ambulance. Make sure you are get a complete report from your doctor as to the injuries you sustained from the accident. You will need this later on when you file with the insurance company of the 18 wheeler to have your medical bills paid. Obtain a copy of the official accident report from the police department. You also need to obtain a copy of the official accident report from the police department. You can either go down to the courthouse yourself to obtain your official copy or you can allow your 18-wheeler accident lawyer do it for you. This will be used to determine who was at fault for the accident. If it was determined the 18 wheeler was at fault, you will be able to file a claim with their insurance company for your medical bills, property damage and personal injury. Get an 18 wheeler accident attorney. 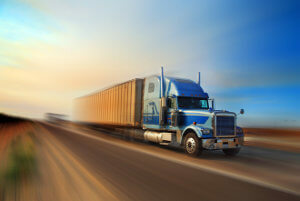 Using an 18-wheeler accident attorney will get your claim settled in a more timely manner. The laws regarding accidents with 18 wheelers are different than those regarding regular auto accidents. Lawyers who have special training and expertise in 18-wheeler accidents are better suited for taking on this type of claim. In order to get the full settlement you deserve, it takes a little work, and if you are feeling poorly due to your injuries fro the accident, you simply may not be up for the task. Let an 18-wheeler accident attorney do it for you, it is their job after all. Being in an accident with an 18-wheeler is never a good time. By getting a good lawyer and getting your claims filed right away, you can get it taken care of as soon as possible so you will be free to move on with your life. What is a Pretrial Diversion in Texas? A Pretrial Diversion in Texas is an opportunity, available in some counties, to get educated and monitored for a period of time, and if all conditions of this contract are satisfied, one’s case is then dismissed. This contract is dependent on the policies, procedures, and a case-by-case review. A competent lawyer must review the evidence in advance to make sure the Pretrial Diversion is an appropriate alternative. If one fails a Pretrial Diversion, they are waiving a jury trial, which is a very valuable right. For more information, call The Barrera Law Firm, P.C. at 956-428-2822 for a free consultation. Texas law provides a second chance for people who wish to expunge a criminal record. In order to be eligible, it is important to have an experienced attorney to help them understand if they qualify. 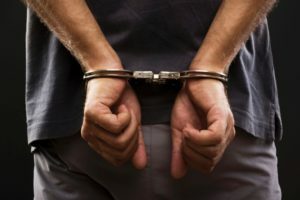 Whether it was an arrest at South Padre Island for public intoxication, a DWI in Los Fresnos, or a theft case in Weslaco, each circumstance must be evaluated on a case-by-case basis. The most important factor to consider for an expunction in Texas is whether the person was ultimately convicted of the offense. A person with a conviction will not be able to expunge their record. Pretrial diversions that result in dismissals will usually qualify for an expunction. The District Attorney for Cameron and Hidalgo Counties will retain a record but that retained record is not for public databases. It remains as the District Attorney’s own privileged record in case another arrest occurs in that county and may be considered if the person gets into trouble again. 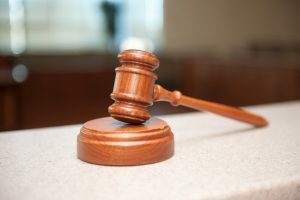 Persons charged with Class C misdemeanors who pleaded guilty or no contest, but received a deferred disposition, might qualify for expunction as long as they committed no offense during that deferred period and the statute of limitations has passed. If you or a loved one would like more information on whether you qualify to expunge your record, call The Barrera Law Firm at (956) 428-2822 for a free consultation. Expunge or Non Disclose; What’s the Difference? In Texas, people sometimes confuse the law on whether they qualify to expunge an arrest record and record of prosecution. Some people will request an expunction, although they pleaded guilty. If you pleaded guilty, most likely, you do not qualify for an expunction. Pre Trial Diversion Program completions may qualify, depending on what their Pre Trial Diversion Contract says. Also, depending on the method of dismissal, a waiting period may apply to expunge your criminal case as well. Another important distinction is whether you received a deferred ajudication when you case was dismissed. If you did, and your offense is a Class B Misdemeanor or higher, than you likely do not qualify for an expunction and you would instead have to get an Order of Non Disclosure. The difference is an expunction is an order to destroy all records of arrest and prosecution and a non disclosure basically orders Texas DPS and other governmental agencies to not disclose the record of arrest and prosecution to certain private entities only. For more information, please schedule a free consultation with Attorney Ricardo A. Barrera at (956) 428 2822. 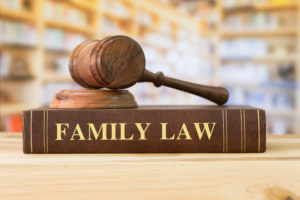 The Texas Family Code Standard Possession Order is one of the most misunderstood and controversial areas of visitation in Texas. 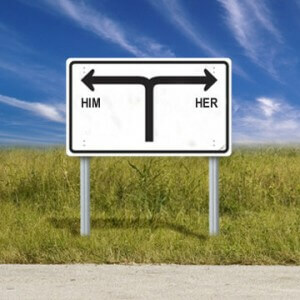 It is broken down into two very different versions that are based on whether the parents live more than 100 miles from each other, or less than 100 miles from each other. The Standard Possession Order summer visitation also may change up, depending on whether the parent entitled to summer possession designates dates for visitation prior to April 1st, that are different than the standard dates that begin on June 15 (if you are over 100 miles from where your children reside) and July 1 (if you are less than 100 miles from where your children reside). Also, the custodial parent can designates one weekend in between the 30 days visitation (if less than 100 miles) or the custodial parent may designate two weekends in between the 42 days (if more than 100 miles). 1) Make sure and notify the other party three different ways, such as email, text, and certified letter of the pick up of the children (even if the court order clearly states it). 2) Keep an agenda over the summer of activities for the children that focus on bonding, developing the children’s education, and having fun. 3) Provide generous electronic access to the other parent, so the children feel comfortable, so long as it at a time that does not interfere with activities. 4) Order education apps or computer programs with lessons and tracking ability to work on the weakest subjects that child has problems with, according to their most recent report cards, You can always ask the teachers for recommendations. For further information on how one can make sure their visitation rights are enforced, made up, or the other party is penalized for not providing court ordered visitation without a legitimate excuse, call Ricardo A. Barrera with the The Barrera Law Firm, PC at (956)428-2822 for help.